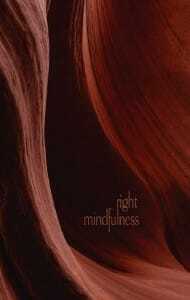 Right Mindfulness – Memory & Ardency on the Buddhist Path by Thanissaro Bhikku (Geoffry De Graff). A growing flood of books has advanced two theories about the practice of mindfulness (sati). The first is that the Buddha employed the term mindfulness to mean bare attention: a state of pure receptivity—non-reactive, non-judging, non-interfering—toward physical and mental phenomena as they make contact at the six senses. The second theory is that the cultivation of pure attention alone can bring about the goal of Buddhist practice. The premise of this book is that these approaches are highly questionable and seriously misleading. The main aim of this book is to show that the practice of mindfulness is most fruitful when informed by the Buddha’s own definition of right mindfulness and his explanations of its role on the path. As he defined the term, right mindfulness (samma-sati) is not bare attention. Instead, it’s a faculty of active memory, adept at calling to mind and keeping in mind instructions and intentions that will be useful on the path. The aim of this book is to show that the practice of mindfulness is most fruitful when informed by the Buddha’s own definition of right mindfulness and his explanations of its role on the path.